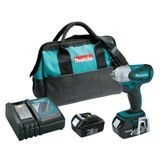 18V LXT® Lithium‑Ion Cordless 3/8" Impact Wrench Kit (3.0Ah) | Tallman Equipment Co., Inc. 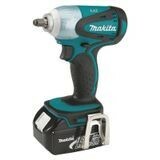 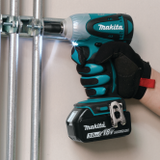 The Makita 18V LXT® Lithium-Ion Cordless 3/8” Impact Wrench (model XWT06) delivers cordless impact power with a 3/8” square drive that will fit impact-rated socket sets. The versatile XWT06 packs plenty of torque for a wide range of fastening and loosening tasks, yet it weighs just 3.4 lbs. 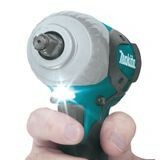 and is a cordless option to air-powered tools, particularly for automotive work.